Thriller - Live, the spectacular concert show that celebrates the music of the world's greatest entertainer and undisputed King of Pop, Michael and the Jackson 5, is celebrating its 2,000th West End performance on Thursday October 24. More than 1 million people have seen the show at the Lyric Theatre and more than 2.5million people have seen the show worldwide. Unlike other West End productions, Thriller - Live is not a rigid book musical with set songs, but is a constantly evolving music concert celebration. When Michael Jackson died, the Lyric theatre became a focus for fans from all over the world, who created a massive shrine of flowers, candles, and tributes. More than 40 books of condolence were signed in the foyer then sent to the Jackson family. A year after his death, a permanent West End memorial to Michael was unveiled in the theatre foyer. Thriller - Live brings to life on stage the distinctive high-energy dancing and pulsating sound of many of pop’s greatest hits, blending eye-popping video footage and effects together with dazzling choreography by the show’s award-winning director Gary Lloyd. The show has regularly been updated with additional songs, new visuals and choreography. 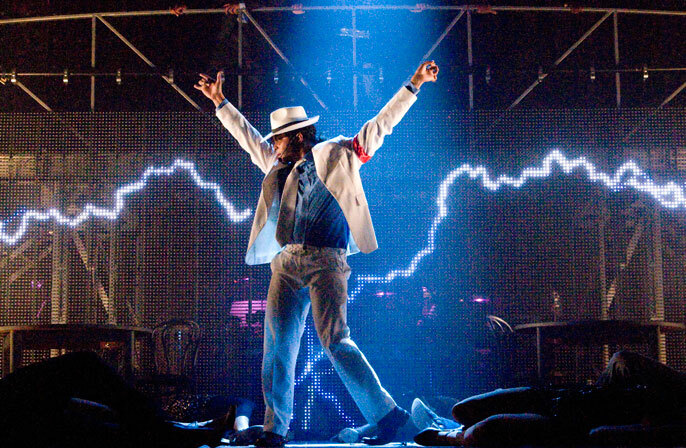 Thriller - Live was originally conceived and created by Adrian Grant, a long time associate of Michael Jackson, and author of Michael Jackson – The Visual Documentary. Thriller - Live is produced by Paul Walden and Derek Nicol for Flying Music in association with Adrian Grant for Key Concerts.